At Happiness, we promise our customers that you can always shop at our online store with complete confidence and safety of your sensitive information and data. How to get rid toddler thumb sucking habit. Here are some tips. If you have any other do share them with us, to help others. 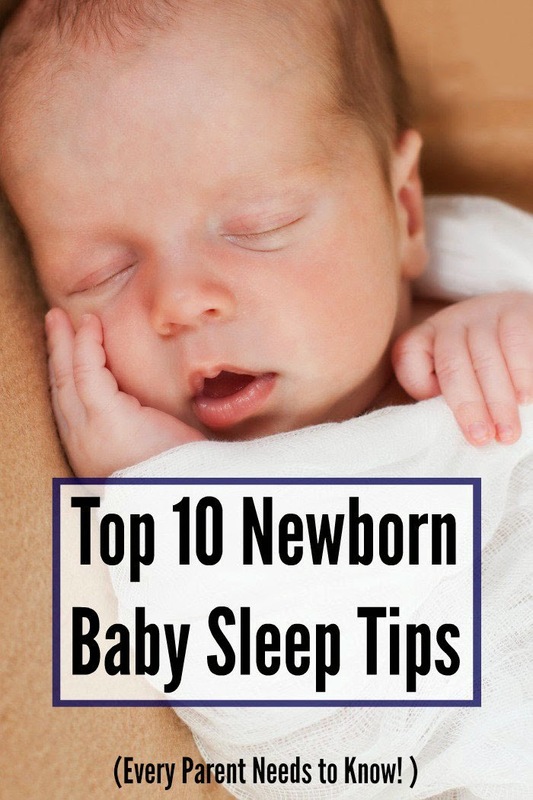 Newborns sleep a lot – typically 16 to 17 hours a day. 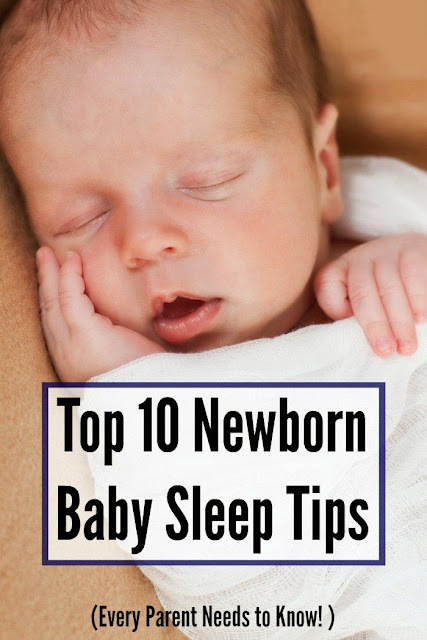 But most babies don't stay asleep for more than two to four hours at a time, day or night, during the first few weeks. 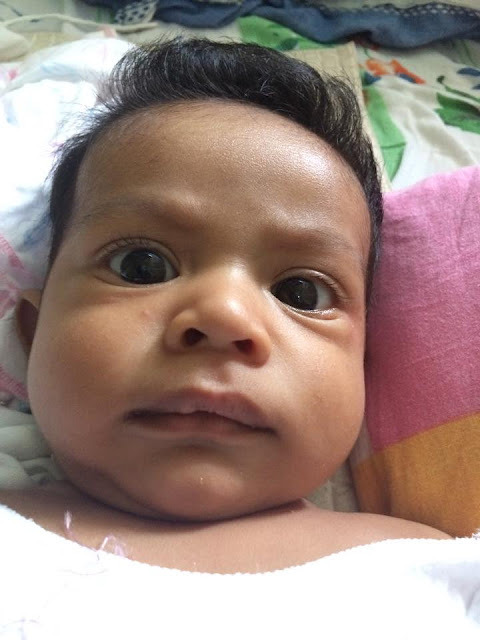 Is you little one losing hair and started getting bald spots. Here's why and the cure for this situation. 2.A baby’s eyes are 75% of their adult size, but its vision is around 20/400. By six months, a baby’s vision should reach 20/20. 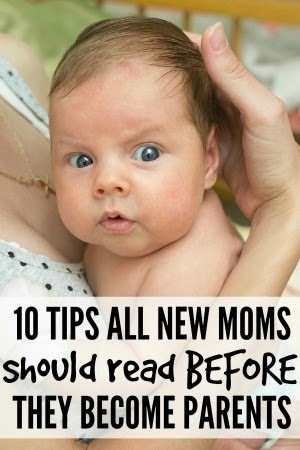 3.Newborns are more likely to turn their head to the right than to the left. 1. You can tell them (much more calmly than you can manage), "You don't hate me, you don't like what I am telling you. There is a big difference. I love you!" 2. "Sorry you feel that way, that's too bad ......" Long pause (guilt, the gift that keeps on giving!). 3. "Oh, well, I guess that means you don't want to go to Disney with me this year then. Looks like it's a kid-free vacation this year!" 4. "I love you, but I don't like you right now." 5. "It's OK; I love you enough for both of us." 6. "OK, I'll find you a new mom then." 8. "That hurts my feelings." 9. "That's fine. I'm doing my job then. But mommy still loves you!" 10. "You will hate me many times as you grow up, and I'm prepared for it and will always love you." 11. "It's OK; you'll get over it." 12. "You do? That's not very nice, and I don't feel that way about you." 13. "You're allowed to be mad at me; however, you're still not allowed to wear shorts to school when it's 20 degrees outside." 14. "I know you're angry, but that is not an OK thing to say to your family." 15. 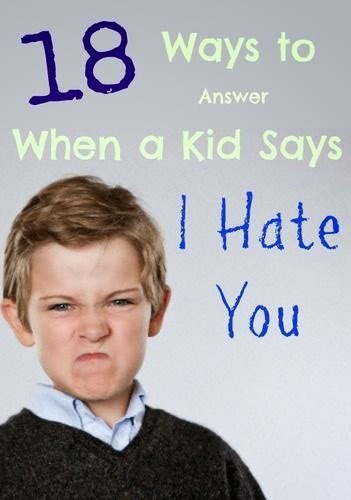 "You're not exactly my favorite person right now either, Kid." 16. "Well, it's my house, so you're free to move out anytime." 17. "I know you are mad at me right now and we can talk about the situation when you are calm." 18. "That's OK, honey; you'll love me soon enough."